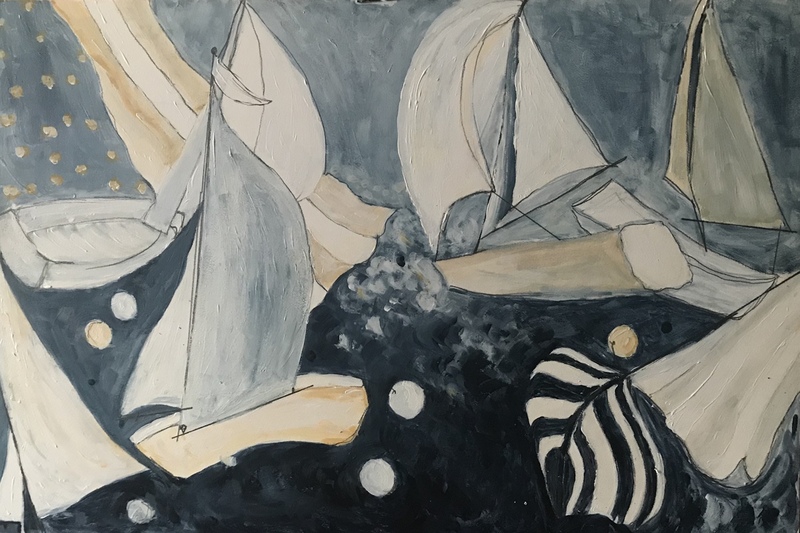 Part of the Sailing Series. I love wind and sails and oceans...don't you. Dreamy use of paynes gray that creates the blues of this piece. Join with me to remember sailing and wishing you were out there. Boats tossed and turned by the waves create the perfect piece to set a room alive. Create from an original work of art that special place and call it home.